I’ve finally seen it. By now everyone must have seen it. Or maybe not, it’s still showing in the cinema near you.In 3D. And 2D if you don’t want to see it in 3D. If you don’t, please tell me why? I didn’t think the 3D was that special though. I’m sure 3D will soon be the industry standard, let’s hope so. James Cameron somehow always manages to make sure people are anxious to see his latest film. While a good thing, the high expectations may put some pressure on a film maker. Or so I would’ve thought. Who knows, right? For once, even mentioning the director seems a bit silly as you all will know who he is and what he’s done. If you’ll have a look at the end credits of Avatar, you’ll see that he didn’t do it all by himself though, he had to involve a number of people from pretty much all over the world and to me it looks like he pretty much used everyone he could get. It’s like watching the end credits of The Lord of the Rings Trilogy or something. If not more. Amazing look and feel, amazingly realistic characters and the whole world where the film is set, brilliant machines, weapons, everything. There’s been lots of comments about the plot being somewhat disappointing, but I thought it’s not quite right to say that. A story may be simple but that doesn’t mean it’s bad. A story might be the same one told million times before but that doesn’t mean there’s something wrong with it, does it? I’ve seen simpler stories than Avatar and I’ve seen more original stories than Avatar, and I’ve seen pretty similar stories to this one before as well, and probably told better too. But I thought that in this world, with these characters (did you actually see the character Colonel Miles Quaritch? – he’s like he’s straight out of Sin City or Small Soldiers or G.I Joe or something), the acting and the story fit together perfectly. If you saw Sigorney Weaver’s first scene, that should be enough. It’s more or less the same as with Titanic – the acting and dialogue are just silly, but it all somehow fits (I still wouldn’t watch that one again, apart from maybe the ship sinking). OK, I’ve mentioned Titanic, but I don’t really need to start talking about the references to earlier James Cameron films – like Sigorney Weaver being in the film (or a few other more obvious things). It’s a shame Zoe Saldana can only really be heard, while less of Sam Worthington would have been enough. It’s an OK and truly beautiful film. I wasn’t carried away let alone blown away (you don’t have to keep telling yourself “it’s only a movie, it’s only a movie”), but it was enjoyable and one of those films you don’t mind being a bit long, could keep on watching it all day really, if I had enough popcorn. Who knows, maybe there’ll be a TV series coming, Jakesully’s Chronicles or something. With James Cameron, absolutely anything is possible… At least on screen. I’m not sure James Cameron really cares about Oscars. I’m sure he’s got his share of awards already, including an Oscar or two. Regardless, he’s in it this year, with an Oscar nomination in various categories, along with Hurt Locker (also with 9 Oscar nominations, Precious, Inglorious Basterds and the rest. 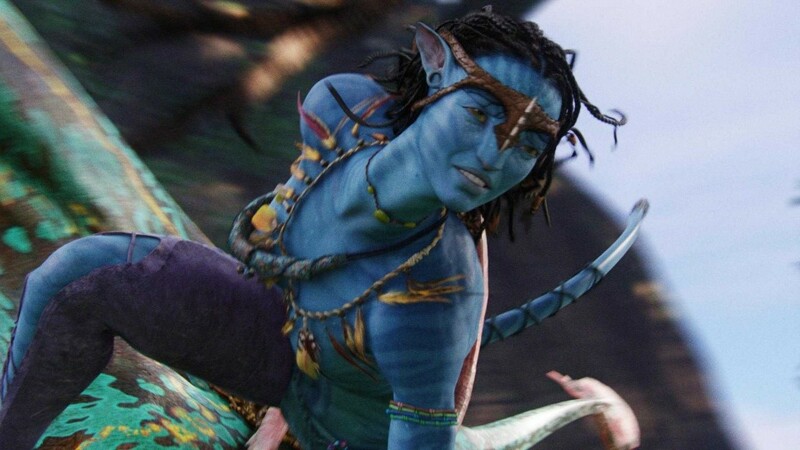 This entry was posted in Reviews and tagged 3D, Avatar, James Cameron, Oscar nomination, Oscars, Special Effects by Ozz. Bookmark the permalink.